Pamper yourself or someone you know to a relaxing session at the Revival Spa! Optimize your performance with a Sports Massage. Share a "Massage for Two" with that special person in your life. 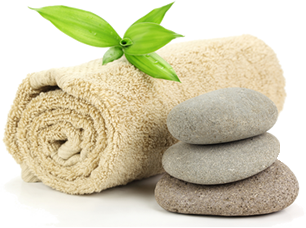 The benefits of massage are varied and far-reaching. As an accepted part of many rehabilitation programs, massage therapy has also proven beneficial for many chronic conditions, including low back pain, arthritis, bursitis, fatigue, high blood pressure, diabetes, immunity suppression, smoking cessation, depression, and more. As many people will attest, massage also helps relieve the stress and tension of everyday living that can lead to disease and illness. Gift Certificates for the Revival Spa are a great gift idea for someone on your list. Book your company get together or a bridal party for a relaxing visit at the Revival Spa! Our hours are variable Monday thru Saturday to meet the needs of our clients.